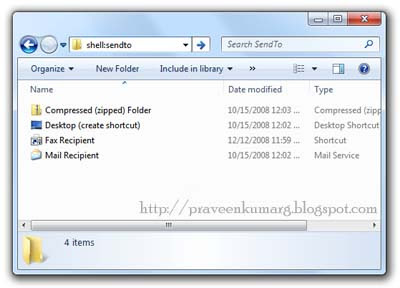 In Windows 7 there is a simple trick to see the secret items in Send To Menu.Most of them might not have know this hidden trick. 1. 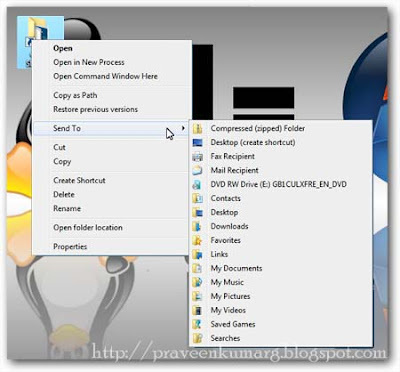 When you right-click on a file you will find only few default items in Send To Menu. 2. Hold down the Shift key while right-clicking on the file, and see the Send To menu…you can find all sorts of extra options! 4. And then drag shortcuts to your preferred folders into this folder.